Cognitive tests reveal that Kung Fu makes you smart! But back to our very own lab-rat, FWC Instructor, Adam Prout. I was reading in the New Scientist about the brain’s ability to stop you trying before you’ve reached your full physical capacity for work. Hmmm, know that feeling, when you think you can’t take any more, give up and then realise you could have carried on. So at the FWC Christmas Dinner I approached research psychiatrist Dr Annette Brühl, who trained with us at the FWC Cambridge University Club. 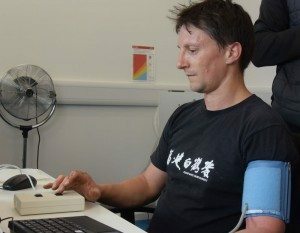 “How can I find out whether Kung Fu helps you extend the effort you can make before your brain interferes and tries to stop you?” Dr Annette had a little think, “It’s not exactly my area of research, I can test the effects of exhaustion on cognitive function. It would still be interesting.” “Does it involve electric shocks?” “No!” Never mind, let’s give it a go anyway. measured and recorded. There are two cognitive tests, one for pattern recognition and one for recall of information. Now we are worried…. “Now we have to exhaust Adam” says Dr Annette. 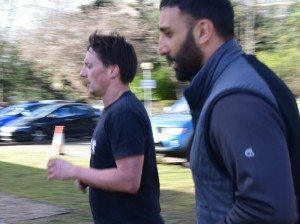 “How long have we got?” “At least 15 minutes” “No problem.” We democratically decide on an efficient combination of running and burpees. After 5 minutes Adam is gagging – “You’re going too fast, you have to take longer to tire him out!” yells Dr Annette. “Don’t worry about it, he’s got plenty more in the tank” Karim calls back. And so it proves. After 20 minutes of running, burpees, retching, running, cursing, burpees, reload, repeat, Adam is sufficiently exhausted to begin testing. Despite his apparent exhaustion he runs into the lab with the easy grace of a racehorse returning to its stable and sits down to have his signs monitored and repeat the tests. We all sit around in hushed silence, trying not to spoil the atmosphere of scientific endeavour or ruin Adam’s concentration on the intellectual bit of pressing buttons and remembering which squares hid the target. Once he’s a bit rested, Dr Annette speaks up, “Now we have to exhaust Adam again”. Outside again and repeat. Adam tires a bit faster, but we’re not letting him off the full 20 minutes. This time he does need master motivator Karim. who ends up running with him to keep him going. I know it maybe doesn’t sound a lot, but the intensity is pretty high, and you can give it a go if you feel like it. Dr Annette stands at the sidelines, a nervous heap, calling out – “it’s too fast, tire him more slowly”, so we drop the pace a bit to make sure Adam ends up with the right kind of exhaustion. Once achieved we trot back into the lab to do the tests and measurements again. 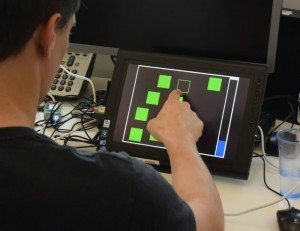 Adam has 10 minutes of rest and then takes the tests again. Finally it’s all over and we have a look at the results. Dr Annette explains that usually this type of testing is done to find out how well people can make decisions when tired and stressed. 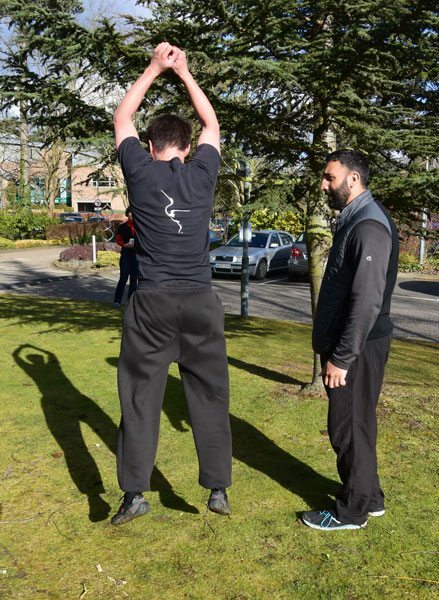 Participants don’t normally do the exercise part but are given a harmless mixture of carbon dioxide and oxygen which fools the brain into thinking that they are in a dangerous situation, stimulating a stress response. What we did with Adam was more real world for professions like firefighters, rescue workers and the military, where physical exhaustion can impact on cognitive function and decision making. That was why she did not want us to tire Adam too quickly as exhaustion arises from effort over time rather than a sudden burst of effort – it takes at least 15 minutes to reach exhaustion. So what did the rest results show? That Adam is fit, and he has a very fast recovery to “normal” from exhaustion. His initial resting blood pressure was 133/70 (a bit high from a couple of hours’ driving to get there) and pulse 68. 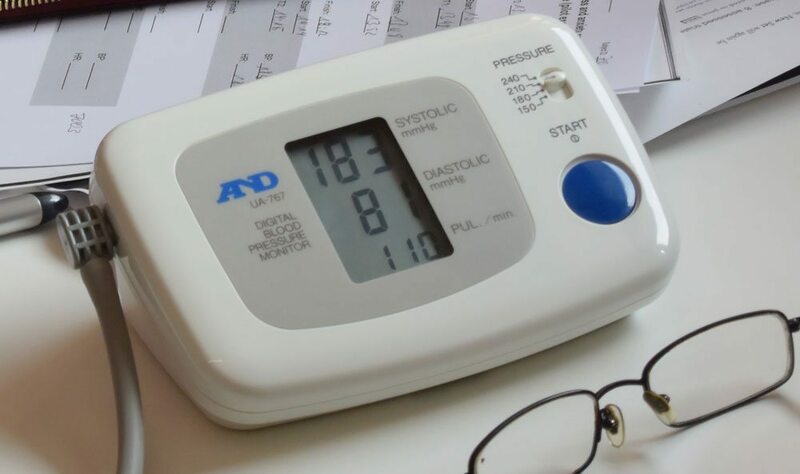 After the first 20 minute exercise period, it went up to bp 183/81 and pulse 110 but within a few minutes had returned to 130/80 and pulse 86. So far so normal for one of our Instructors. But how did he do on the cognitive parts? The graphs are below for those of you who love that kind of thing. But the overall finding is that Adam is better at the tests after exercise, especially when most tired after the second bout of exercise. 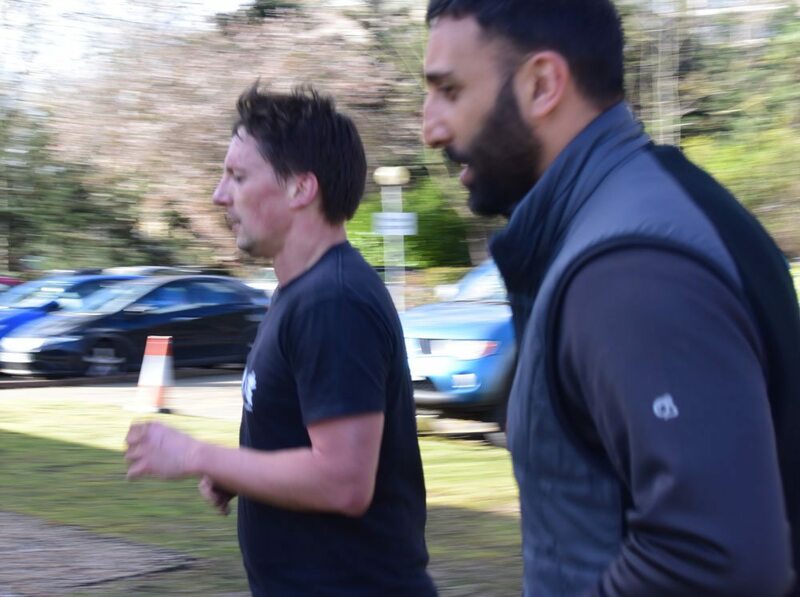 Dr Annette finds this every interesting and thinks that it would be a good idea to consider selecting a group of fit people to test, as general participants for this research are not selected for fitness. The results may indicate that people who exercise regularly become less stressed as they exercise, and therefore more receptive to learning new skills after some initial exercise. Dr Annette’s personal area of expertise is in social anxiety, and she comments that when people start training in a new club (like ours) they may be anxious and find it difficult to start learning. But joining in and (for example) wearing uniform so that they feel part of the group may relax them and increase their openness learning. Dr Annette also commented that people are different in their relaxed/tired phases – some people are better able to focus when relaxed, and some are like Adam, more focussed when tired. What she was not sure of was whether fitness has an impact on this, so that fit people are better able to learn once they have tired their bodies. This fits with the patterns of our classes, where an initial intense warm-up is followed by techniques, explanations, and new movements. These are well-known tests in the scientific world. 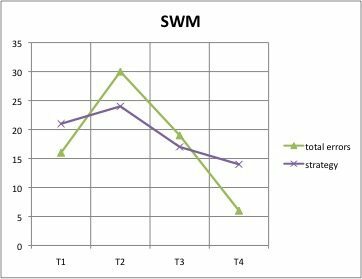 CANTAB SWM Spatial working memory: SWM requires retention and manipulation of visuospatial information. This self-ordered test has notable executive function demands, and measures strategy use as well as errors. CANTAB RVP Rapid visual information processing: RVP is a sensitive measure of sustained attention. Outcome measures for this test include response accuracy, target sensitivity, and reaction times. 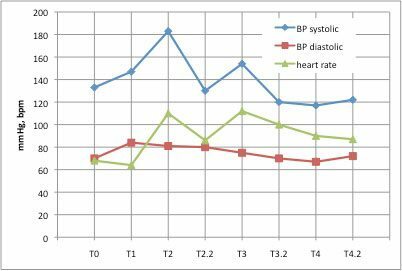 Blood pressure and pulse as measured at each interval. The spikes are immediately after each bout of exercise. 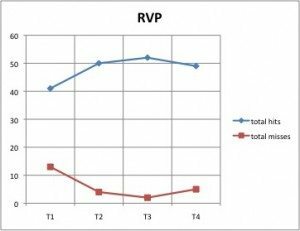 Results of Rapid Visual Processing tests, showing that Adam’s performance improved as he exercised but then dropped at the end after a rest. Results of Spatial Working Memory Test – For both errors and strategy lower marks are best, so this one shows that Adam’s performance and use of strategy improved after the second bout of exercise and continued improving after rest. This is showing Adam’s reaction times, with lower being faster. 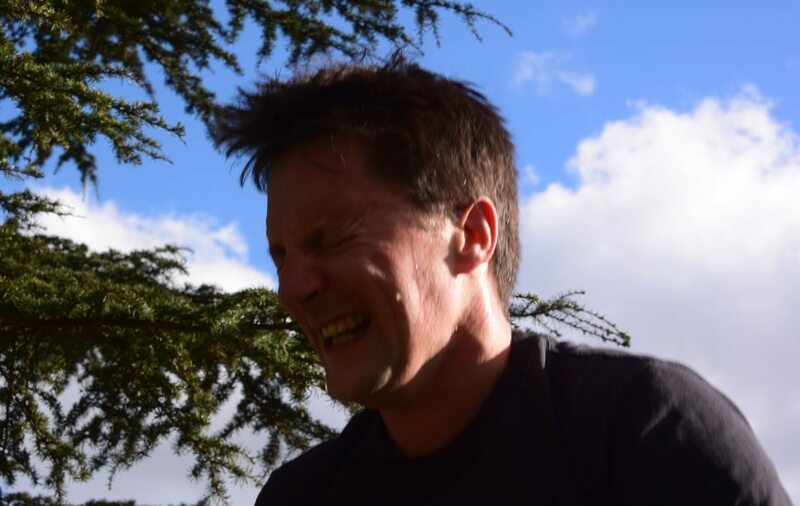 So Adam’s reaction speed improved after each bout of exercise and then slowed after rest. “I would like to add some more comments on the results. – Heart Rate: quick recovery of blood pressure and heart rate after the exercise (reflecting good overall fitness, good recovery even after two rounds of quite tough exercise, although after the second round lower recovery). – Spacial Working Memory Tests (SWM): the improvement in session 3 and 4 in SWM performance could be explained by some training effects (i.e. doing the same task – although with different patterns – more than once can lead to learning/training effects, by testing and further developing a strategy). In the SWM, the impairment/higher number of errors in session 2 (after first exercise) compared to session 1 (rest) is similar to the impairment seen with other types of stress (my own studies on the influence of stress on cognitive performance). 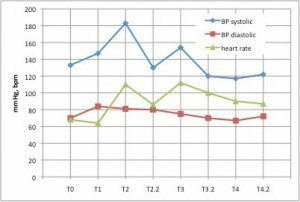 The interesting point here is that Adam, although he was quite affected by the second round of exercise when looking at the physiological parameters (BP, HR), managed to improve his performance on the SWM task. One could interpret this as overcoming or resisting the effects of exercise and eventually physical exhaustion, seen in an improvement in cognitive performance in the SWM task. 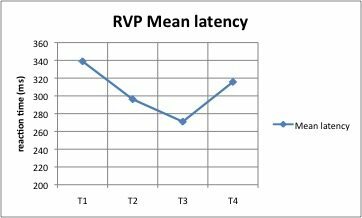 – Rapid Visual Processing Test (RVP): Interestingly, in this task, which measures sustained attention, i.e. the ability to maintain focus over a longer time even during a quite boring task, Adam had the best performance in the second round, where the exhaustion effect was actually most pronounced. This task doesn’t really have a learning effect with repeated testing, so this improvement cannot be explained by training/learning the task. There is a scientific hypothesis that particularly attentional processes are quite sensitive to variations in sympathetic arousal in an inverted U-shaped manner. This means that low arousal/activation is associated with a lower performance, a higher, optimal degree of arousal/activation is associated with optimal attention performance, and then even higher arousal again impairs attention. In this case, it seems that we didn’t push Adam into a level of exhaustion that was detrimental to his attention. 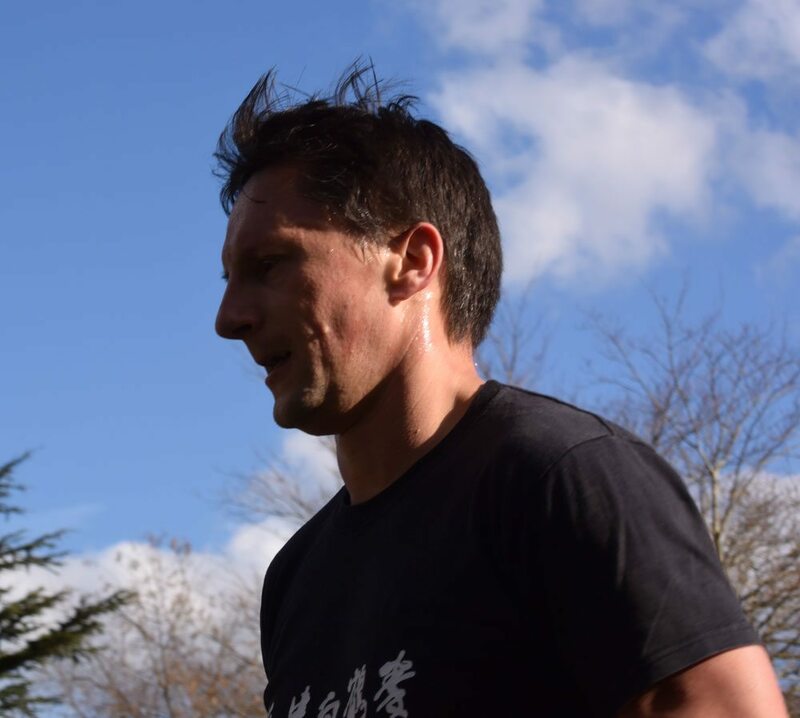 Even though he was physically quite exhausted (ok, we didn’t do a real long-term exhaustion, but it was not bad, it was quite intense), he even improved his focus. 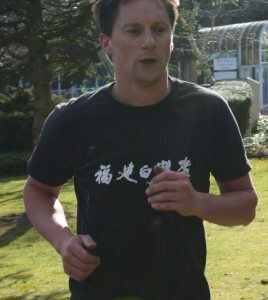 We cannot completely distinguish effects due to Adam’s very good physical fitness (due to Kung Fu) from more cognitive effects – that his Kung Fu training had effects on his cognitive performance that made him cognitively less sensitive and even better after (maybe also during, but we didn’t test this) strenuous exercise and exhaustion. 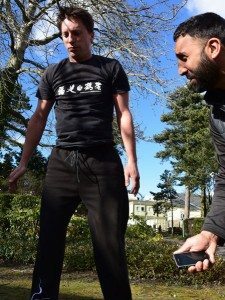 Kung Fu makes you smarter? We prize scientific accuracy and correct interpretations of results. In our sample of one person, he performed cognitive tests better when exercised than when rested. So Kung Fu makes you smarter (which is a massive over-interpretation of the results, but it sounds good). at the end of the day Adam is still human (like Batman). Wonder what we could do next…..Hang on a minute, I’ve got a great idea! Photos and write-up by FWC Instructor Sharon Ngo.